Rewards programs don’t come much simpler than the one with this card. Its owners can also take advantage of some very attractive intro bonuses. Capital One® Quicksilver® Cash Rewards Credit Card is a popular credit card for those who want a straightforward rewards card with a nice set of bonuses for new cardholders. Capital One has been very competitive with cards in several segments of the market; let’s see if this cash-back offering is worth including in your wallet. $150 cash bonus -- New cardholders can earn a $150 bonus once $500 is spent on the card; this must be achieved within three months of the account opening. Unlimited 1.5% cash back -- This offer is a “what you see is what you get” cash-back card. Every transaction made with the card, no matter the amount or product/service category, earns 1.5% cash back. $0 annual fee -- Capital One gives Quicksilver® cardholders a nice, permanent break from paying an annual fee. 0% intro APR for purchases -- APR effectively doesn’t exist 15 months for new purchases. 0% intro APR for balance transfers -- Another long-lasting zero for the card, the 0% intro APR for balance transfers spans 15 months. No foreign transaction fee -- Travelers get a nice break with this perk. The foreign transaction fee is an irritating, yet still common, charge that dings a cardholder a small percentage (typically 3% or so) of every purchase made abroad. No minimum redemption -- Another convenient, low-maintenance aspect of the card is that the cash back can be redeemed whenever the cardholder sees fit. Extended warranty protection. This doubles the period of the manufacturer’s warranty on a particular good purchased with the card. It does so up to a maximum of one additional year, on qualifying warranties of three years or less. Travel auto rental insurance. Supplemental coverage is provided. In the case of accident or theft, the policy reimburses up to the monetary value of any qualifying vehicle, for a period of 15 consecutive days at most in the cardholder’s country of residence, and 31 consecutive days outside of said country. Lost luggage reimbursement. Another comforting travel perk from Visa Signature is this one, which covers up to $3,000 for loss of baggage due to “theft or misdirection” by the operator of your means of conveyance. Concierge services -- Visa Signature Concierge is available 24/7 through a toll-free phone number for Capital One® Quicksilver® cardholders. These folks can tap Visa for advice on sports and entertainment tickets, travel bookings, local attractions, etc. I have been a writer, editor, and even publisher of business news and analysis since 1994 and I have published thousands of personal finance articles that have appeared on site like AOL, Yahoo, CNN Money, and MSN. I have also added consistently to my credit card collection -- these days my wife and I hold six cards from all three major brands (Visa, Mastercard, and American Express), not counting store cards. So in addition to my history and experience, I have first-hand knowledge of credit cards, particularly about how to use them to maximum advantage. Bonus cash back -- Yes, the rewards program’s across-the-board 1.5% cash back is easy to understand and keep track of. The downside of it, though, is that no product or service category earns additional cash back, as is the case of numerous rivals. Cardholders, then, are missing out on good earning opportunities if this is their only cash-back card. Excellent credit is suggested to increase your chances of approval. Capital One expands somewhat on this definition as it is a bit more lenient than traditional definitions of excellent credit. It emphasizes the following factors for those interested in applying for the card. Not defaulted on a loan. Never paid a credit card statement, medical bill, or loan more than 60 days after it was due. Held a credit card or loan at a limit (or amount) over $5,000, for at least three years. Capital One says that other factors drawn from the information provided on an application will be considered; it does not elaborate. The company also says that it will take into account an applicant’s credit history. Capital One® Quicksilver® Cash Rewards Credit Card is a solid card that is worth comparing to other leading cash-back cards in the market. Chase Freedom® increases the potential cash back haul for cardholders who can make the most of the cards 5% back categories (on up to $1,500 of spend each quarter) that rotate every quarter and must be activated. 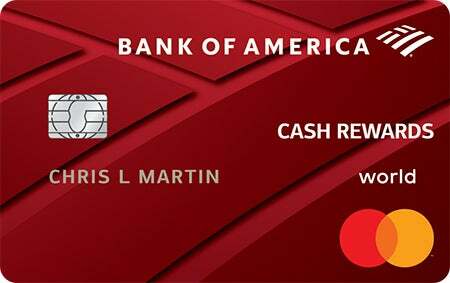 Bank of America® Cash Rewards credit card packs in a lucrative cash rewards program, in addition to the best bonus we've come across in its category: receive $150 after spending just $500 within 90 days. Rewards Program: 5% cash back on up to $1,500 in combined purchases in bonus categories each quarter you activate, 1% on all else Rewards Program: Now earn 3% cash back in your choice category and 2% at grocery stores and wholesale clubs (up to $2,500 in combined choice category/grocery store/wholesale club quarterly purchases), and unlimited 1% on all other purchases. A great strength of Capital One® Quicksilver® Cash Rewards Credit Card is that it appeals to several different types of credit card users. If you’re one, or a combination of any, of the three, it’ll be quite a practical card to own. Cardholders who like a stripped-down cash-back rewards program that requires little monitoring or maintenance. This cards cash-back program is as simple as it can get, with all buys earning the same 1.5% cash back. People looking to consolidate their credit card debt. The 0% intro APR for balance transfers APR provides plenty of time to whittle down a transferred balance. Those planning a big-ticket buy or several. If opting for the first of the two bonus offerings mentioned above, cardholders can take serious advantage of the 0% APR for 15 months. Large purchases can be made with the card, then gradually paid off over that year-plus period without accruing interest, plus the purchase can help reach the spending threshold to earn the sign-up bonus.